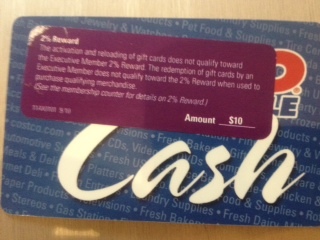 The post earlier today concerned a special promotion to receive 2 months of Costco Membership free. Today, I went to Costco and tried to use the promo. They informed me that, since I already had a membership (even though it had lapsed), I was not eligible for the “2-Month-Free” promo. However, Marisol, the helpful Costco employee, offered me a $10 Costco cash card if I renewed. Hmmmm…. I said yes. Then, she said that the one year membership would run through June 30, 2013. I then remembered that, at Costco, when you join, the one-year membership is good through the last day of the month you register. I then begged Marisol to begin my renewed membership as of July 1, 2012. She reluctantly agreed (probably to get rid of me) and so, instead of the above promo, I got 13 months for $55 ($59 including tax) and a $10 Costco cash card. Not bad. Also, by coincidence, a fellow blogger, Scott at “Hack My Trip” wrote a post today about Costco. Its titled Costco as the Traveler’s Secret Weapon, and it contains some valuable information regarding use of Costco for travel. 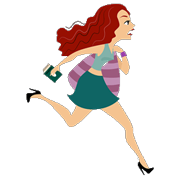 Please note: Will Run For Miles may have a financial relationship with some of the merchants advertised on the blog, and may receive minimal compensation if consumers utilize the links located on this site and generate sales. Thanks for the mention! Just a heads up, if you’re already familiar with the deals I discussed today, I have several other travel-related Costco discounts I’ll be posting about later this week. Great! I look forward to it! thank you, scott.